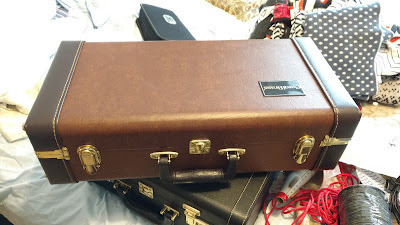 After buying my Selmer 19A balanced trumpet the zip on the case broke. It was not easy to find a replacement case because the old Selmer is longer than most modern trumpets. Most cases are too short so I have been keeping it in a double case with vertical slots. Then I found a case for sale that seemed like it might fit. It is made by Carol Brass case, and supplied with their balanced model trumpet. I tried my Bach Strad in it and it fitted, but the valve cut out was long enough to take the Selmer and the case itself was a bit longer. I put the Selmer in and it fitted. The end around the bell bow was not a perfect fit so I took a small hammer and reshaped the padding of the case a bit at that point. It is now a perfect fit. It has a retro look too. I bet that got your attention, if you are a Moody Blues fan. Well it’s not quite a new album, but it is as close as we are likely to get. The Moody Blues have not recorded a new studio album since “December” which was released in 2003. However, the individual members (and ex members) have continued to write and record during that period, especially since 2010. Because that material is so current I have used it to compile “The Album That Never Was”, which is available as a playlist on Spotify, or you could assemble the tracks yourself if you have them in your library. All of the songs mirror quite a similar theme - looking back on life and career and give a flavour of what the studio album recorded after Strange Times might have sounded like. As a bonus track you could add Simply Magic from 10,000 Light Years as this includes Ray Thomas on flute and Mike Pinder on Mellotron (it is not available on Spotify which is why I didn’t include it). 10 tracks because Strange Times had around 10 full songs, as did Sur La Mer. 10 tracks seems to work. It just seems to be the number that works. Opening with an upbeat Hayward number because most recent Moody Blues albums have. Ignoring the re-recordings on Spirits of the Western Sky which were done for the Moody Bluegrass album and the remixes of old recordings as they are not new material. Working with what bits of 10,000 light years were available on Spotify, as the whole album isn’t. Treat it as an LP with two sides needing suitable running orders. End the album with something reflective, but hopeful. In the end this didn’t quite work out and I opened with “In my Mind” by John Lodge which has a big rock introduction featuring Chris Spedding on guitar. I think this bookends quite well with the extended orchestral version of One Day Some Day which closes the album. The order of the other songs is partly based on key signature and time signature. It doesn't flow perfectly and the instrumentation is quite different between the source recordings, but it is as good as we are going to get I think. 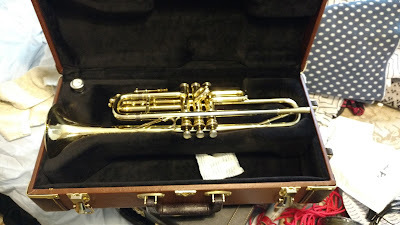 Is it possible to get a cheap Eb/D trumpet that works? I guess this is the same question as I posed a few years with piccolo trumpets. My answer then was “yes” but prices have risen a lot since those days. A trumpet that was selling for under £200 then can cost as much as £600 now. With the recent drop in the value of the pound all imports are going to get more expensive. Today the pound is worth 15% less than it was four months ago which means potential price increases of 15% on imported instruments. 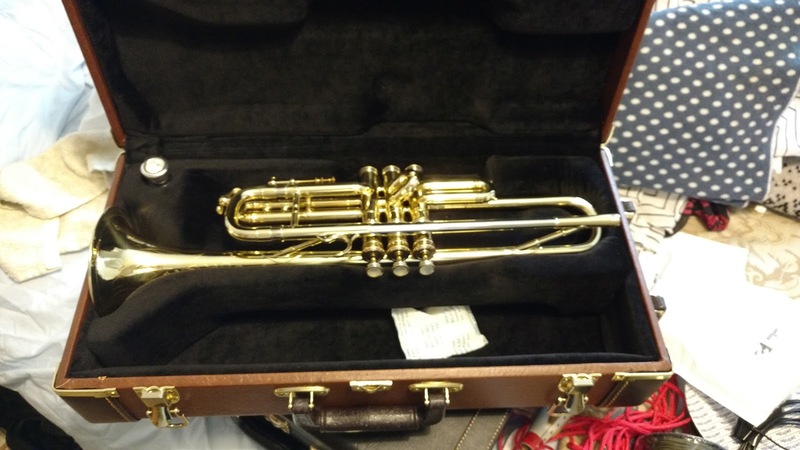 I decided to have a look at fixed bell Eb/D trumpets to see what cheaper options there were than the market leading (for music students at least) Yamaha YTR6610S which sells for around £1800. Three slides for converting from Eb to D (i.e. no second valve slide, just the main, first and third). Used Yamaha Eb/D models can be bought used for £900 to £1100. Cheaper second hand options around at the moment are the Yamaha 651D at £700-£800, but this is in the Key of D only. There are often older Selmer Paris Eb/D trumpets on sale, but these can have intonation issues, as do some of the older Bach’s. These second hand prices means that for a new trumpet to compete on price it needs to be £700 or less. Manufacturers seem to have recognised this. There is even a Chinese made tuning bell Eb/D available from Thomann which is in this price range. This is a list of all the cheaper fixed bell Eb/D trumpets currently available in the UK, listed by price. These are either based on recent Yamaha models or the 70’s Yamaha models designed by Schilke which had a larger bore size but smaller bell throat. They are all made in China or Taiwan. Prices were taken from main retailers in June 2016, but they are often available in sales. This is only supplied by Gear4Music. Three slides for converting to the key of D.
Adjustable first and third valve slides with fixed ring and saddle. These specifications are very close to the Yamaha 6610S so it seems to be an attempt at a direct copy although the bore is slightly larger. Surprising to see a rose brass bell on such a cheap instrument. I have seen this selling for as low as £295 recently from some online retailers. Three slides for converting to key of D which fit in a special section in the case. Fixed third valve slide ring. First valve slide is not adjustable. Valve block is two tone and apparently an upgrade from previous versions. Other than that I can not find any information on bore size or bell material. Again, based on the current Yamaha design but with the inclusion of rose brass. 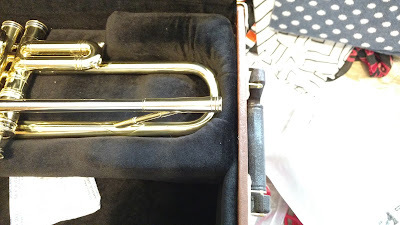 The Odyssey Bb trumpets have a good reputation for quality and value so this instrument might be worth trying. Available from Trevor Jones in Bristol. Seems similar to the Andreas Eastman i.e. larger bore and smaller bell than the Yamaha. Adjustable first and third tuning slides with fixed ring and saddle. Leadpipe designed by Richard Smith of Smith Watkins. Set of four slides to convert to the key of D.
Specifications are very similar to the Yamaha 6610S. The description of the bell material places it somewhere between yellow brass (70:30) and gold brass (85:15). For comparison, rose brass is 90:10. Those who go for a larger bore and smaller bell combination (Andreas Eastman, Arnolds Terra) which is similar to the Schilke E3 fixed bell model and the Yamaha 651/751 D only trumpet, which was also designed by Schilke. I have not played any of these so I can’t really judge them. I have played the Yamaha and it was very good indeed. I prefered it to the Schilke E3L-4 I was playing at the time. Reports on the Eastman are good. The JP is a fairly recent replacement for an earlier model which was highly regarded for young players needing an Eb for exams. Either of these are probably fine. I just don’t know about the very cheap ones on this list. With Eb/D trumpets intonation is the main problem. You don’t want to be forced into using alternative fingerings. My suggestion would be to look for a second hand Yamaha. If that fails then try out the JP or the Andreas Eastman. If you are on a really tight budget look out for the Odyssey. The inclusion of rose brass may tame the tone somewhat and they do have a reasonable reputation. The others may be worth a try, especially if you can get them second hand for £150 - £200.